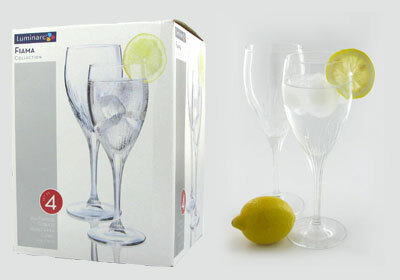 Enjoy a long, cool glass of wine or champagne in Fiama Stemware. Fiama wine globlets, champagne flute glasses, and wine glasses are dishwasher safe and guarantee a quick and simple clean-up for a relaxing night at home. Our glassware adds a touch of elegance to any casual dining table. Our Fiama drinking glasses resemble quality handblown stemware, but at an everyday low price.